Welcome to my Exclusively for Kindergarten Teachers giveaway! I am so happy that I can finally share this opportunity with my fellow colleagues. My other fans are just as important, have no fear, but, for the most part, the products that are being given away are kindergarten products and wouldn't pertain to other grade levels. announced and required to contact me to claim their prize. If I am not contacted within 24 hours, a new winner will be drawn. Who can enter? Anyone who is a kindergarten teacher or works with kindergarten aged children who lives in the continental U.S. (due to my sponsors having to ship packages). People outside of the US may participate if they agree to pay shipping costs via PayPal before be awarded the prize. Duration? This sweepstakes will end on Thursday June 14th at 12:00 a.m. EST and the winners will be posted Friday June 15th. How do I enter? Leave a comment at the end of this post stating the arena you work with kindergarten children (teacher, paraprofessional, nanny, homeschool teacher, literacy specialist, etc.). Type your full name as well as your email address. That's it! How will the winners be chosen? There will be a separate winner for EACH prize listed below. The winners will be chosen via Random Number Generator. If the winner has followed the rules of entry, the names will be posted on June 15th. Winners will need to contact ME within 24 hours of the winning list being posted (with necessary information) or another winner will be drawn. Feel free to peruse the prizes you could win below and grab freebies from many of the sponsors! Although not a requirement, following and liking is recomended because additional entries may be awarded. A to Z Teacher Stuff is offering a prize package worth over $175! If you teach kindergarten, you will love to win the KinderReader series of books. They are guided reading books that are newly GR leveled and offerred in 5 different levels for each book (only the text changes). This package also includes a Nursery Rhymes to Go bundle and the yearlong series of themed word wall cards. As if that weren't enough, A to Z has generously thrown in $50 to spend on any items you wish at A to Z Teacher Stuff! The amazing Debbie Clement has donated her entire, eclectic collection! 6 CDs and 3 books valued at over $150 will be given to one lucky winner. You can visit her blog here for creative ideas surrounding the arts and literacy or find her on Facebook here. Julia Cook has donated a personal library collection personally AUTOGRAPHED to the winner. Her website is filled with tons of information, including all of her products and information how to book her as a special guest at your school! You can also follow her on her Facebook Fan Page here. AND a freebie which you can find here. 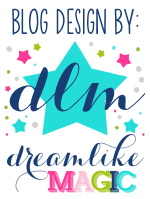 Follow her blog for weekly updates of her products, freebies and her fun classroom here. You can also follow her Facebook Fan Page here. Doug from Teachershirts.com has donated a team's worth of t-shirts (maximum of 4) valued at $96! You choose the style of short sleeved t shirt and get 4, so you can match your teammates on casual Fridays or at workshops! We all know that kindergarten teachers like to have fun! Please visit Teachershirts.com to choose your style and also head to their Facebook Fan Page to be up to date on their latest products AND possible coupon codes. Also, the code MONKEY takes 20% off orders of $50 or more now through June 16. Amanda Myers from A Special Kind of Class is giving away her entire TpT store a $317.50 value! Click here to grab a freebie there and check it out! Follow her Facebook Fan page here. A Differentiated Kindergarten is giving away her entire TpT Store- a $75 value! Click HERE to grab a freebie and check it out. Follow her blog here (on right hand sidebar). Like here Facebook Fan page here. Miss Kindergarten is giving away her entire TpT store - a $117 value! Click here to grab a freebie and check it out! Erin Wing from Small Types is giving away her entire TpT Store- a $44 value! KindergartenWorks is gifting $100 of high quality products from their TN shop! Click here to grab a freebie and check out their shop! Follow KindergartenWorks' on Facebook here. Mrs. Albanese is giving away her entire TpT Store- a $255 value! Click here to grab a freebie and check out her store! Follow Mrs. Albanese here (lower righthand sidebar) to follow her blog! Caitlin at Kindergarten Smiles is giving away her entire store ($50 value)! You can follow her Facebook Fan Page here. Mary at Sharing Kindergarten is giving her entire Teacher's Notebook Store (a $34 value!). Check out her freebie here. You can follow Sharing Kindergarten here. You can find her Facebook Fan Page here. Check out the awesome freebie she is sharing with you here. You can follow Live Love Laugh's blog here. You can find the Facebook Fan Page here. Check out this freebie from her here. will be the first one to have it because the listing hasn't even gone live yet at my TpT Store, my A to Z Teacher Stuff Store or my Teacher's Notebook Store. You can check out my favorite freebie here. Oh, and my other favorite, here. Gotta love Pete the Cat! Thank you again to all of my amazing sponsors. Without them, this party would have been pretty boring, don't ya think? Be sure to check back on Friday, June 15th, to see if you have won one of these amazing prizes. Winners need to contact me within 24 hours OR a new winner will be chosen. Winners will be announced here on MMMB, as well as on my Facebook Fan Page. Be sure you are following one or the other very closely (if you are, you just MIGHT get codes for additional entries! I teach Full-Day Kindergarten in a childcare center. Happy anniversary to you!! I work with kinders for reading enrichment and intervention. This is AMAZING!!!! I have taught K for 9 years!!! LOVE every minute of it :) I am also teaching a Jumpstart K class during the summer, so all of this would be so helpful! LOVE everything you do! So many new ideas to implement in the fall-woo hoo! OK here goes....sseccareccia@gmail.com. Thats Stephanie Seccareccia to you girlie! Pick me! Pick me!!! ESE Kindergarten teacher and mom to an almost kindergartner! Love it! Thanks for sharing such great resources. I teach full day K at a public school. Wow, what a great celebration!! I'm so excited! We have kindergarten orientation this morning and I get to sing to the newbies! I am the luckiest teacher in the world because I have the privilege to teach full-day kindergarten in a fantastic public school. Thank you for the contest, the freebies, and all the info! I am a kindergarten teacher! And I love it! I am a North Dakota Kindergarten teacher! I'm a 2nd year Kindergarten teacher! I am a Kinder teacher! Thank you so much for your hard work in sharing with all of us this year. I can't wait for another years worth of wonderful Kinder ideas from you. This is a wonderful giveaway and I am excited to participate. This last year I was a Kindergarten teacher and this next year I will be transitioning to the Title Reading position in our building working with Kindergarten through 4th grade students. These would be great resources to use. I love reading your newsletter and will be teaching kindergarteners while I am doing Title reading this year. Thanks for the chance at winning these wonderful things. I am a kindergarten teacher! Hopefully moving districts this year but staying in K! Good grief, I teach Kindergarten and follow directions like one! No name on my paper! I LOVE being a Kindergarten teacher!!! I teach Kindergarten full day. Great blog - thank you!! Congratulations! What an amazing giveaway! Love your stuff! Thanks for all the sharing you do. I teach a full day Kindergarten class of usually around 20 kids in a rural town. I've been teaching K for 23 years but LOVE all the new ideas from bloggers. Paraprofessional for 2 kindergartens! Love it and love your blog! I am a TN kindergarten teacher. This is amazing! I am a kindergarten teacher! I am a kindergarten aide! This is an amazing giveaway. I am a full day krazy, kinderaholic kindergarten teacher! I am entering this for my bestie who teaches Kand would love to surprise her with this! I am an ESL Kindergarten teacher in Texas! I teach full day K! Wow-- what an amazing giveaway!!! I teach K! Thanks for a chance at this! I teach full day kindergarten and love it! I'm a kindergarten teacher in california. I am a ELL Kindergarten teacher and technology integration specialist. I this you are so sweet to do this. It is an amazing giveaway!! I am a student teacher who works with Kindergarteners as a substitute, special education teacher, and English Language Specialist. I also volunteer as a Reading Specialist in Kindergarten. I have 6 more months to finish school and then will be in a classroom of my own. Thanks for all the inspiration!Happy anniversary! I teach kindergarten in Missouri. I am a Kindergarten teacher in Oklahoma. Changing grades to Kindergarten, first time for everything! I teach Kindergarten love your blog! I teach Kindergarten in Northern California. So many great prizes! Thanks for the giveaway! Thanks for an awesome year!!! Amazing!! I have taught kindergarten for 11 years. I am a kindergarten teacher. I have been following your blog since last summer and I have used so many of your ideas. Thanks for all the inspiration! WOW!! I am so glad I hooked up with all of you!! I am a Kindergarten teacher going into my 2nd year of it. WOW!! Moving to Kindergarten after teaching Second grade for 10 years! Next year will be my 3rd year in Kindergarten. I love following your posts on Facebook..always helpful ideas to improve student engagement/learning. Thank you for your blog. I am the only Kindergarten teacher at my school. Your blog has helped me all year long. I want to enter too!!!! Ooh! I forgot to mention that I teach Kindergarten! Hi! I'm Letty Lee. I teach Kindergarten in Southern California. I love your blog - thank you for sharing your amazing activities with us! I am a Kindergarten teacher. All day. Every day, except the month of July. I teach Kindergarten! I just began a Start Smart K-3 Plus class for 25 days this summer! This is an amazing, AMAZING sweepstakes! I hope I win so I can make my first classroom wonderful! Wow! Great give away! I am a Kindergarten teacher in south Louisiana. My code is MMMBLT! I teach Kindergarten and LOVE it! Can't see myself doing anything else for a long time! What an awesome give away!!! I am a Kindergarten teacher in Northern CA.. Thanks so much for sharing all your great ideas!!! I love all that I have been able to learn from following your blog!!! Congratulations! I teach Kindergarten and LOVE it! So excited. I LOVE TEACHING KINDERGARTEN! Hey...I teach Kindergarten at Shayne Elementary!!! I'm keeping my fingers crossed!!!!! I am a Kindergarten teacher and love it! So excited to be going back to teach K next year! I am a kindergarten teacher! I teach K...best grade ever! What a fabulous giveaway! I teach full day K! I am First Year Kindergarten teacher! I'm also certified in Special Education. I just finished my first year teaching kindergarten and I couldn't imagine a better grade to teach! I am a kindergarten teacher in Louisiana. I teach kindergarten at Christ Academy. Just finished year #32 in kindergarten...so most days I'm a little crazy, but I wouldn't have it any other way! :-) Thanks for a great contest! I am so HAPPY to have found your blog from Heidi!! I am on my 6th year teaching Kinder! We have 9 full day Kinder classes at my site! We are also 99% EL! My students speak Russian and Ukranian! I need all the help I can get lol!! Following all the blogs listed as well as a new fan on facebook!! Finding your blog is a HUGE win!! Oh my! I'm drooling over all of these great prizes! Wow, only 1 year? You've done so much in one year. Kindof like watching a K-5 kid grow :) Crossing my fingers!! I teach kindergarten in Missouri and LOVE it!! This is an awesome giveaway! Would love to be a winner!! This sounds like fun! I am a kindergarten teacher. Woohoo! Happy Anniversary! Thank you! and kindergarten. I am a full time teacher and work summer camp. I tach full day Kindergarten! Congratulations on 1 year of amazing blog entries and teacher resources! You and your blog are awesome! I am a kindergarten teacher & Parent this year. Love your Blog & enjoyed the Everthing's Kindergarten Expo! I am a kindergarten teacher and parent of a KDG student this year too! I always get something great from your blog, but this is Over The Top! Congratulations on your anniversary. Congratulations for your first year! I enjoy reading your blog and taking notes for new ideas. I am a kindergarten teacher. Congratulations! Wow what a great giveaway! You are so awesome! Thanks for all you do! Kindergarten teacher in a KS public school! So thrilled to be re-charging my energy this summer before I start my 17th year of teaching kindergarten!